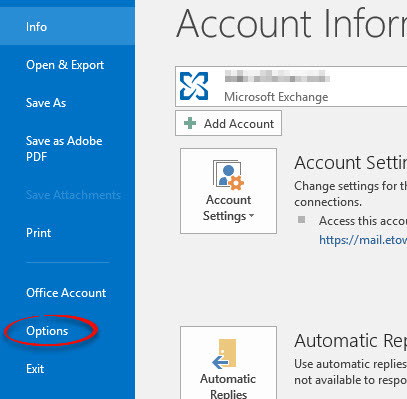 How to change the default sound for appointment reminders in Outlook 2016. 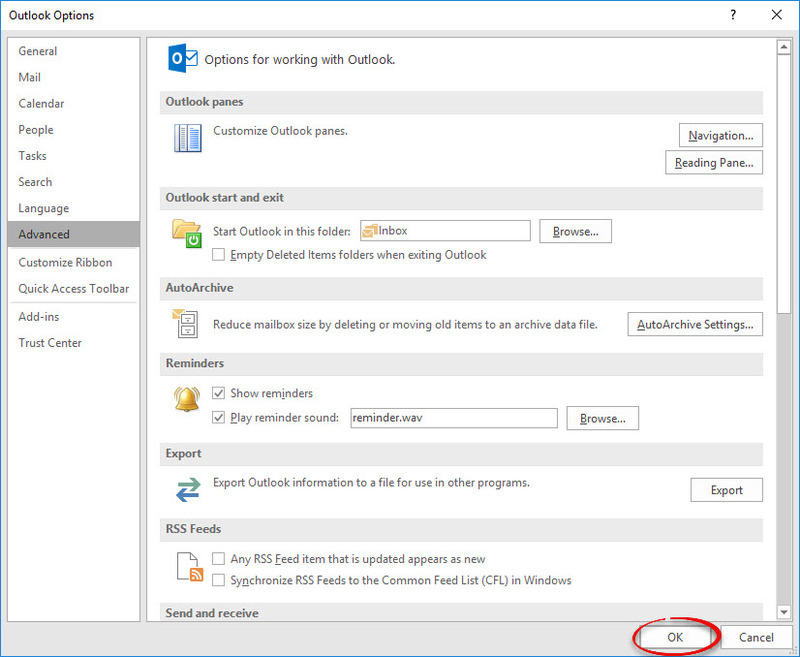 This process also works in Outlook 2013 & 2010. Step 1:Open Outlook. Under the File tab, select Options. Step 2:Click the Advanced menu. Step 3:Look for the Reminders section. Click Browse... next to the reminder sound. 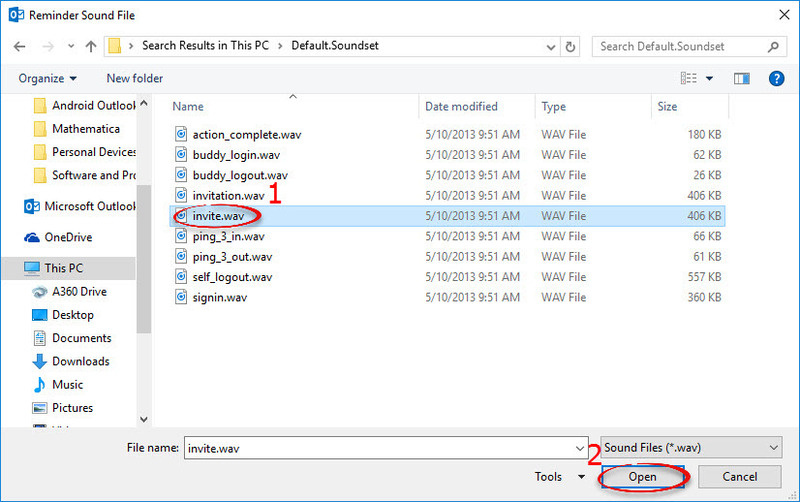 Step 4:Locate the sound file you would like for your appointment notifications. Select the file and click Open. Note: Other Office notification sounds are located in C:\Program Files\Microsoft Office\Office14\MEDIA.